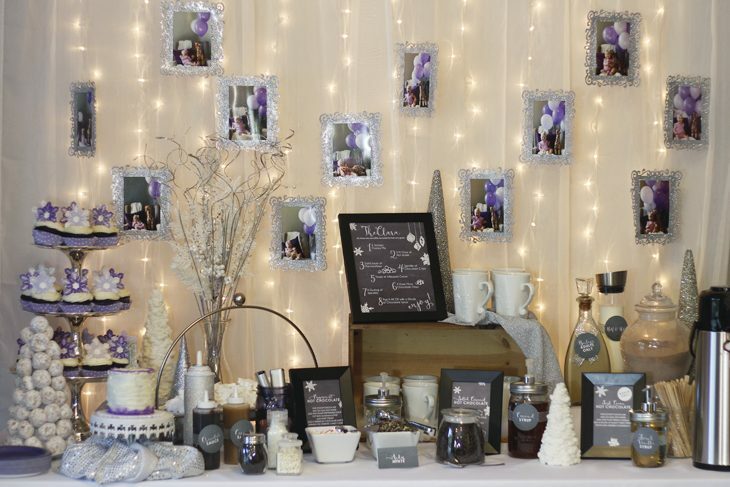 Are you hosting a party this winter? Here’s the perfect, simple wintery party dessert for you to provide for your guests. See how to make a donut tree in under 5 minutes! Although hot chocolate bar parties are super fun, I didn’t think it exactly provided enough substance for our party guest’s for Clara’s first birthday party. 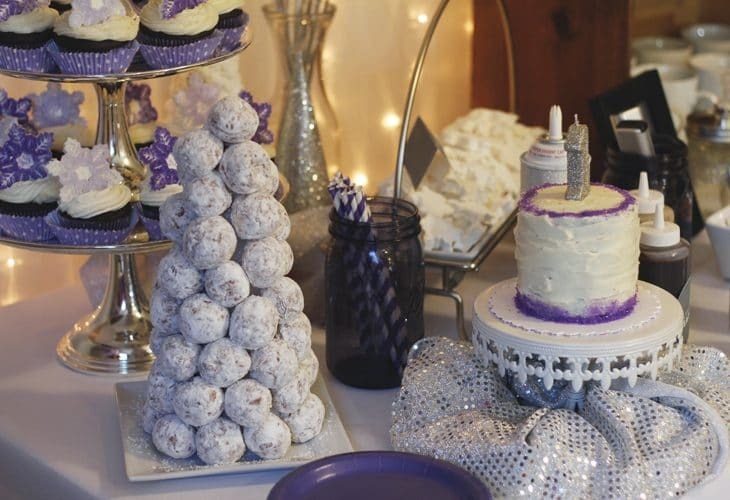 I wanted to stick with white, purple, and silver foods for the party to go with the theme but, honestly, there are not that many white dessert foods that are easy to make. I originally was going to make russian teacakes but, as we know, I am not a baker. I’d rather go the easy route with food and have more time to go all out on the party decor. It is really as simple as it looks. Start at the bottom and place a ring of donut holes on toothpicks into the styrofoam cone. I found it was easiest to alternate placing the toothpicks and then the donut hole one by one to make sure all the cone is covered. Keep going until you get to the top. Be sure to add one donut to the top of the tree to make a nice topper! 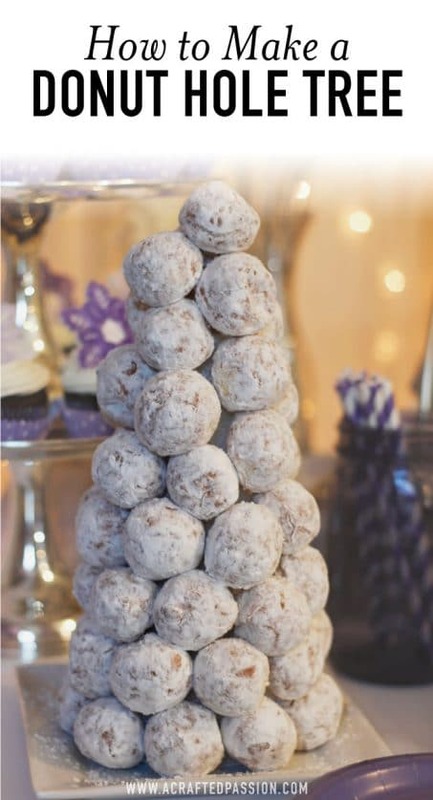 This tree made the perfect addition to our hot chocolate bar party and looked great next to our snowflake cupcakes! You’ve learned how to build a donut tree! In case you missed the full party post, you can get all the hot chocolate bar details here, plus FREE chalkboard labels and recipe cards to make your very own hot chocolate bar.